Earn $95.00 in VIP credit (9500 points)What's This? The Jet 6 Plus Black Clincher Front Wheel uses HED’s exclusive Turbine Braking Technology to significantly shorten braking distances. The blacked out look is the result of a specially machined and anodized directional brake track that makes for 25% shorter stops in the dry and 70% shorter stops in the wet. With a depth of 60 mm, the Jet 6 Plus Black is an excellent choice for flat and rolling terrain, yet at a claimed weight of just 1673 g together with the rear, it is still light enough to get up hills. 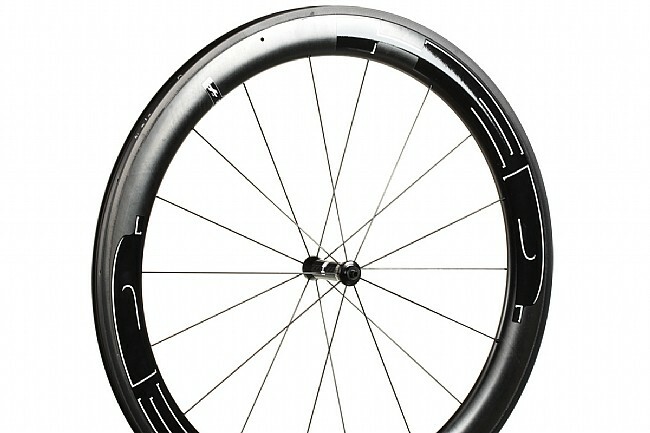 The 25 mm wide rim has a 20.7 mm inner width to optimize traction, comfort, and aero advantages. 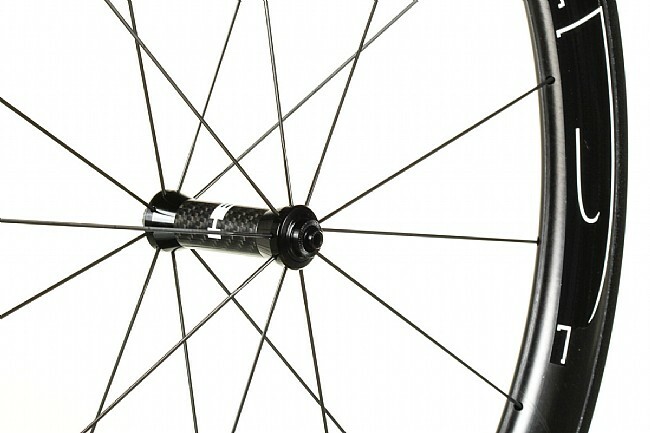 Titanium skewer, rim tape, and valve extender are included.